Every soldier knows it: the most dangerous opponent is the one within. This is one of the reasons why loyalty is such a cherished characteristic in a fighting force. A weak link within can destroy far more easily than a strong opponent on the other side of the battle field. 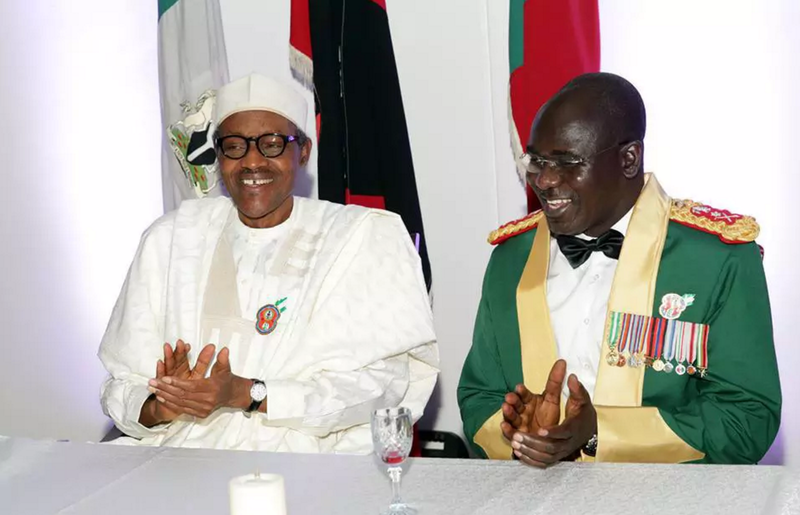 One year ago, President Muhammadu Buhari appointed Tukur Buratai to lead the armed forces as Chief of Army Staff. The president had just taken power, and he enjoyed tremendous goodwill and support. With the conquest of Boko Haram being one of his principal objectives, he sought to shore up the nation’s military, beginning with the removal of its discredited leaders. It was 34 years since he had joined the army, and exactly 30 since he became Lieutenant. As he surveyed his terrain in 2015, and spoke about that grand vision, it didn’t come into question that he was a very wealthy man. So wealthy that, two years before, he had shelled out $1.5m to buy real estate. Not in a bank loan, not in an inheritance. Not in a gift from Olusegun Obasanjo or Ibrahim Babangida or Aliko Dangote, but in personal savings. He had somehow, in 30 years, kept from spending his salaries, as many soldiers do, on women, or beer or suya or peppersoup. He had shown unusual savvy and energy in the thrift department, apparently making a business of saving every penny through three decades as a soldier. Three decades, and then he suddenly owned some of the most expensive property in Dubai. $1.5m is a considerable amount of money, especially for a government employee. You would normally be expected to be in a different line of business not simply to save that kind of money, but to make it in the first place. There are people who are not paying attention to the implications of this. They think the General should tell the nation another story. It is easy to understand their cynicism. We live in a country ruined by thieves in high places. In the past year, we have seen an army (no pun suggested) of military chiefs being exposed for astounding looting of funds meant for military procurement. Monuments to greed continue to be recovered from them. These are men who sent out fellow Nigerians, armed with inferior equipment, to battle fronts and other military assignments. Why, only last Thursday, on the basis of a report of the Presidential Committee investigating Defence Equipment Procurement between 2007 and 2015, President Buhari authorised further investigation of those indicted, about 54 in all. The committee had uncovered about N381 billion worth of “irregularities” in contract awards, including 18 serving and retired military personnel at the highest levels. Among them, sadly, are Lt.-Gen. O.A. Ihejirika and Lt.-Gen. K.T.J. Minimah Buratai’s retired predecessors as COAS. Perhaps his declaration, “The Nigerian Army is back…” was an effort, in advance, to distance himself from them, having been unable to do so when they held sway. But those words, which are nearly a year old, provided no recognition of his acquisition of expensive Dubai property, nor of similar possessions he may have in Nigeria. 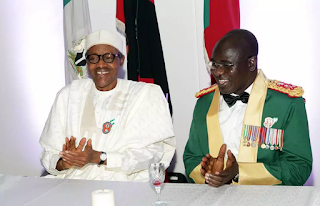 Now, General Buratai may well be Nigeria’s most honest soldier. He is probably guilty only of being in the wrong trade—as a soldier—instead of being in banking or investing, making billions and showing the world how easy it is. But he is in a tight corner now, having been swiftly cleared by the same government which appointed him, and by the Army which he heads. The army stated that the Buratai family actually has two properties in Dubai, paid for in instalments through personal savings three years ago. The government, similarly, hurriedly cleared the army chief. But it said nothing about property. Instead, it said Buratai and his wives invested as “shareholders.” It made sure it did not say the General bought two pieces of property. And then the Code of Conduct Bureau entered the story last week, following a Freedom of Information request by a citizen. It confirmed that Buratai owns the Dubai assets, and has declared them. These claims are in conflict and are difficult to reconcile. To Buratai goes the credit for his dogged personal savings. But consider that while the government says he acquired the Dubai assets in collaboration with his wives, the CCB says he declared it in the name of one. Did he declare one—or both—in his wife’s name, or each property in the name of a different wife? What we have here is a sad tale that could have been an inspiring one. We could have had the outstanding tale of a soldier who can teach the world a thing or two about skillful money management and enterprise. We could have enjoyed a scintillating tale of one of the few successful men making polygamy and serial fatherhood flourish on a salary, demonstrating his wizardry in production, management, marketing and export. Instead, we have a tale that appears to be contrived and controlled, and this has arisen because for a government which says it wants to fight corruption, Buhari shut the anti-corruption agencies from a routine investigation. And also because Buratai, for his part, mistakenly conceives of silence as defence. That is how he has emerged as the most dangerous opponent to Buhari’s anti-corruption war, capable of eviscerating it from within.